There are several fundamental Buddhist teachings that can help us to lead a life that is of value to ourselves and others. Following these teaching can free us from suffering and help us to embrace our true purpose here on earth. 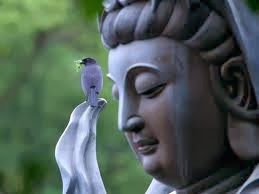 Buddhism teaches that we are on this earth for a purpose. Buddhist teachings say we are here to learn lessons that will develop us spiritually. This is why Buddhists believe in the concept of reincarnation and rebirth. We may come back to this earth many times in order to learn further lessons. 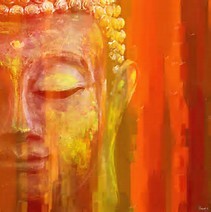 Lord Buddha taught that we can achieve a state of enlightenment or Nirvana. Reaching this state is only possible if we release our attachment to desire and the self or ego. Once this has been achieved, reincarnation ceases as we then move on to a different spiritual plane. We are then free from cycles of suffering and desire and are truly liberated from the ego. Buddha believed that this was possible for all of us and the only condition was that we release ourselves from desire and the self. He argued that this is the cause of all suffering. 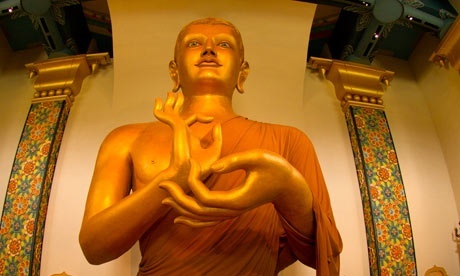 However, Buddhism gives us some practices that we can use to help achieve this state. The Three Practices - The first of these guidelines is called the three trainings or practices. These are Sila, Samadhi and Prajna. Sila - Sila is the practice of good conduct. To practice Sila, we must follow two basic rules. The first is the principle that all living entities are equal. The second is the principle that you should do to others what you would wish to be done to you – a principle that is found in all major religions. These teachings are very simple, but the effects of living by them are profound. If you live by these rules, you will never take advantage or another living being. You will never exploit others for your own gain and you will harm no one. Samadhi - Samadhi is the practice of contemplation, meditation and mental development. Buddhist teachings focus on the outer world and how we behave towards others but also on our inner world. Meditation can help us be more self-aware. Through contemplation practices, we learn true wisdom which leads to better outward behavior. Prajna - Prana is the practice of discernment and wisdom. Once you understand how to live, your mind will become pure and calm. Wisdom and enlightenment come from this place of inner peace. Of course, living in this way is often harder than it seems. There are many things that happen to us that cause us to stray from this path. We often feel emotions such as anger, resentment, jealousy and fear that get in the way of living a life of good conduct, peace and tranquillity. Luckily, Buddhist teachings can help us when we struggle in this way. Buddhist teachings on Suffering - Buddha spoke a lot about suffering. He admits that suffering exists, but he states that the cause of suffering comes from within us. It is our desire for constancy and our attachments to things, beliefs and ideas that cause our suffering. We suffer because we think that things should be different to how they are. For example, we often get annoyed with people if they are late. This annoyance comes from our belief that people should be punctual and our resentment at someone wasting our time. If we did not have the belief that people should be punctual, or that our time could be wasted, we would not suffer when someone was late to meet us. Buddhist teachings on Attachment -Rather than accepting situations, we either cling to them or push them away. If something happens that we don’t like, we try to get rid of it. When something happens that we do like, we try to hold onto it. But we cannot actually change what has happened, so our clinging and resisting simply cause us suffering. We can become attached to any idea and this leads us to crave something that we have not got. Craving can lead to jealousy, fear or anger or any number of negative emotions. However, by simply letting things be the way they are, without resisting them or clinging to them, we can live happily in the moment. Buddhist teaches that only by letting go of this Attachment to the way things should be can we release ourselves from suffering. Buddhist teachings on Freedom - Once we are free from Suffering, we are truly free to live joyous and productive lives. We stop worrying about how we compare to others or what other people think of us. We learn to accept ourselves and our circumstances without desiring anything to be different. This doesn’t mean we don’t try to change things. We can and should try to change things in the world that are unjust or cause harm. But we do this with an acceptance of what is rather than resistance to it. Once we reach this state, we can live lives that are expressions of who we are deep down, without the interference of the self or ego.